"Filipino food is a fusion of different flavours which evolves through various influences like Spanish, American, Chinese and other Asian countries. As we adapted and concocted these dishes it has created diverse flavours that are uniquely Filipino seasoned and spiced by our rich culture". I'd like to share with you a very easy to prepare and affordable version of Kare-Kare. If you find cooking kare-kare with beef tripe or ox tail a bit tedious, since it requires long hours to tender the meat - why not have tofu instead? Vegetarians would also love this, I'm pretty sure! It's all veggies and tofu! Now, who wouldn't want this very tasty and healthy version of kare-kare? And since we're observing the Lenten season, this is perfect too! Brown each sides of tofu in a heated pan with oil. Set aside. In a pot, heat oil. Saute onions and garlic. Add the kare-kare sauce mix. Let boil. Add the banana blossom and peanut butter. Cover and cook for about 8 minutes. Add sitaw and eggplants. Cook for about 2 minutes. Then add pechay. Season with fish sauce. Add the tofu. Simmer for another 2 minutes. 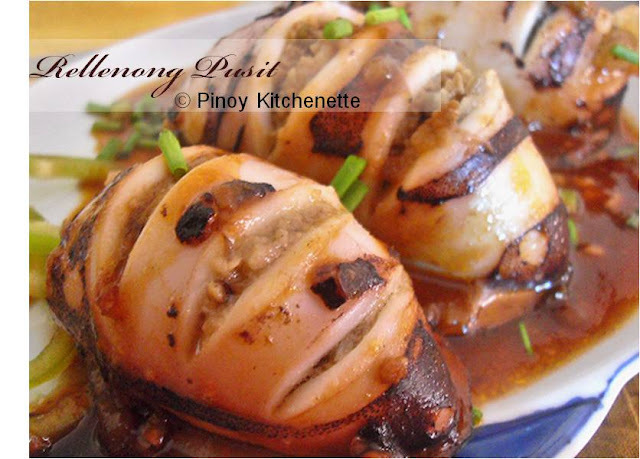 Serve with bagoong on the side. * You might also like to try Seafoods Kare-Kare from my previous post. oooh, would love to try this!!! This recipe is heaven sent! I just love tofu! I can eat it everyday. This new way of cooking it is so innovative. 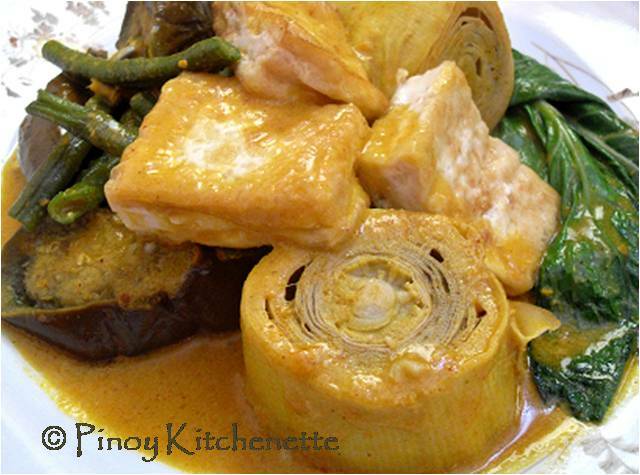 I also love kare kare, and would love to have a taste of this fusion of my two favorite dishes. wow amazing dish love to cook that way.. more thanks..